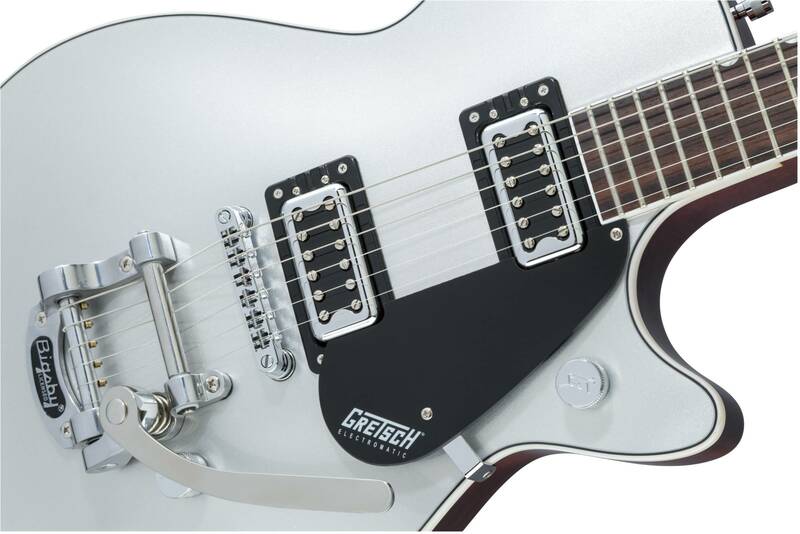 Pure Jet™ Power In its 65 year existence the Gretsch Jet has been the hallmark sound for iconic players. 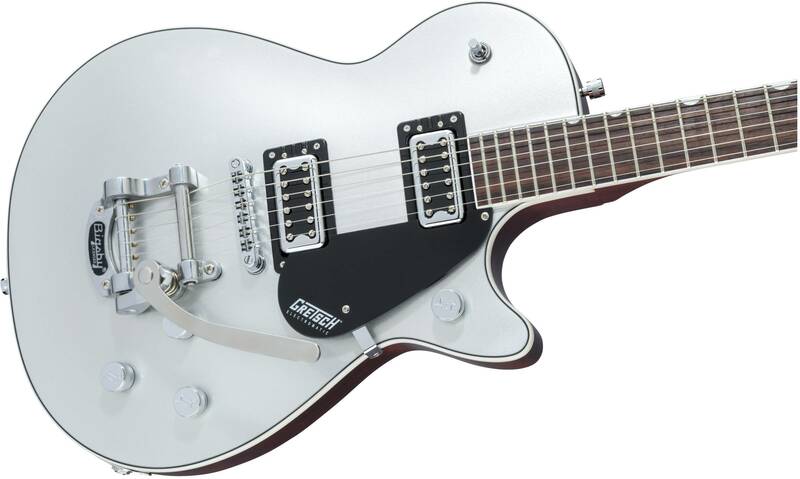 The all-new G5230T Electromatic® Jet™ FT Single-Cut with Bigsby® captures that essential Jet power and fidelity at an incredible price. Chambered Mahogany Bodies — Loud and Clear Classic Jet tone begins with a chambered mahogany body with maple top that produces full lows and mids with an exceptionally smooth and present high end. The result is a deep acoustic foundation that is robust, yet balanced. 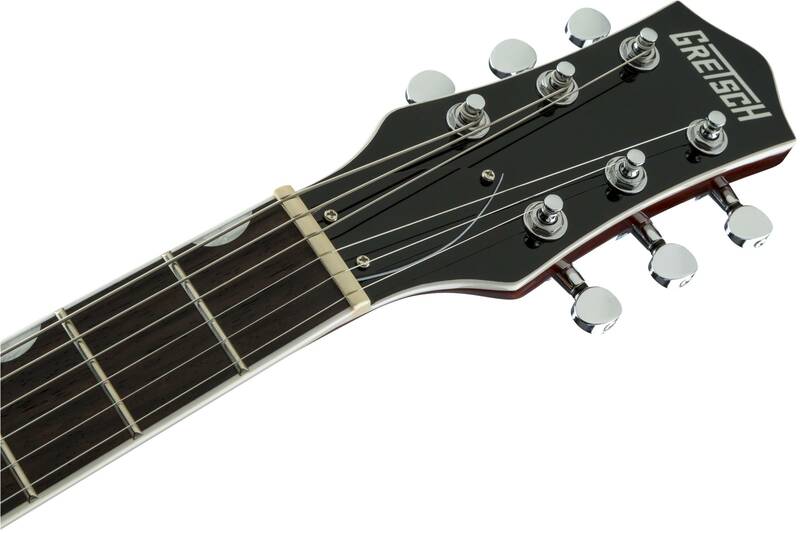 Black TopFilter'Tron™ Pickups – Quintessential Power and Clarity Black TopFilter'Tron pickups amplify and accentuate the Electromatic Jet FT's chambered body to produce a wide, balanced and transparent tone. Loud and punchy, this Jet sounds out with remarkable definition at any level of gain. Together, the body and pickups thunder with full, responsive lows and mids with a high end that sparkles without spikes. Total Tonal Control The Electromatic Jet FT is equipped with essential features that give you complete tonal control. The combination of individual pickup volume controls, master tone and master volume with treble bleed circuit provides intuitive global control over your pickup and tone settings.